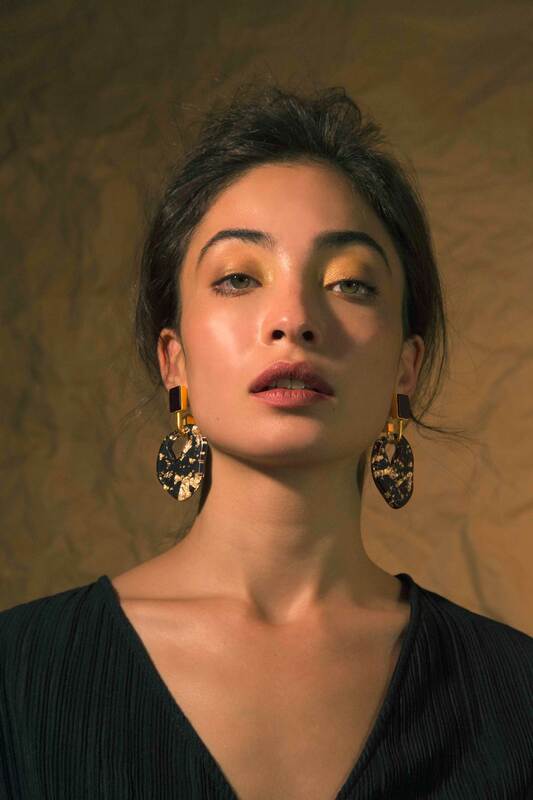 The Saharan Earrings are inspired by the majesty of the Saharan desert, and the peaks of its golden dunes. 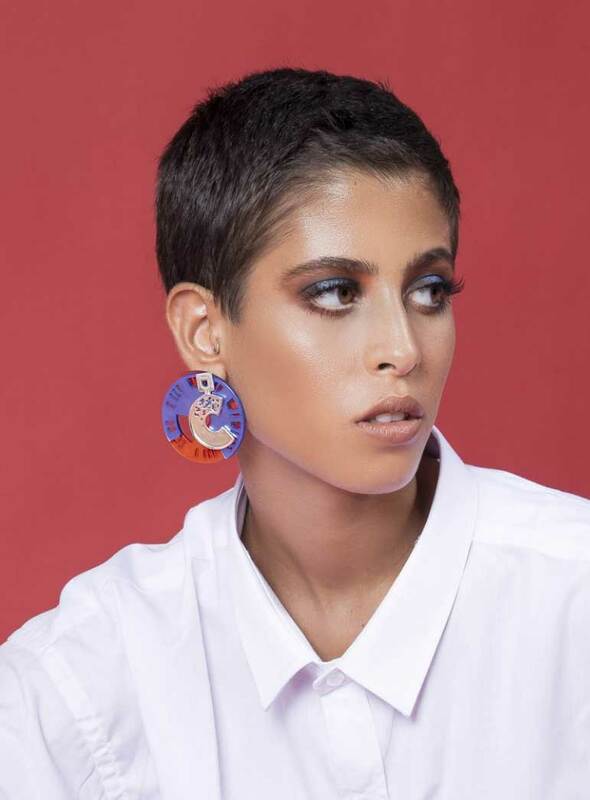 The Saharan Earrings feature a custom-made resin piece; a black base coated with a transparent layer embedded with gold foil particles. 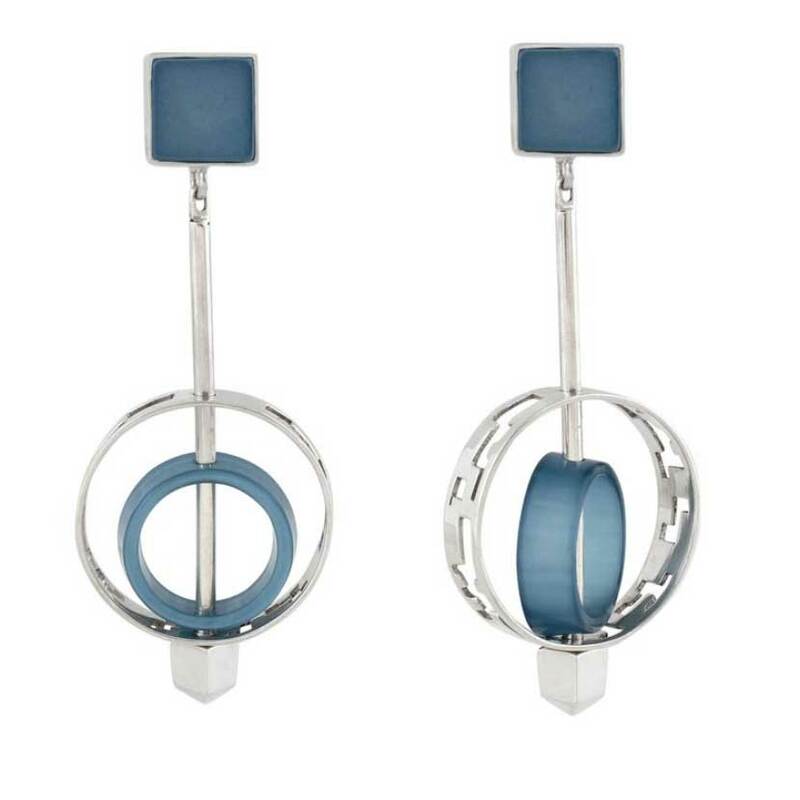 These handcrafted earrings are made of brass, dipped in 18K gold, with a matte finish. 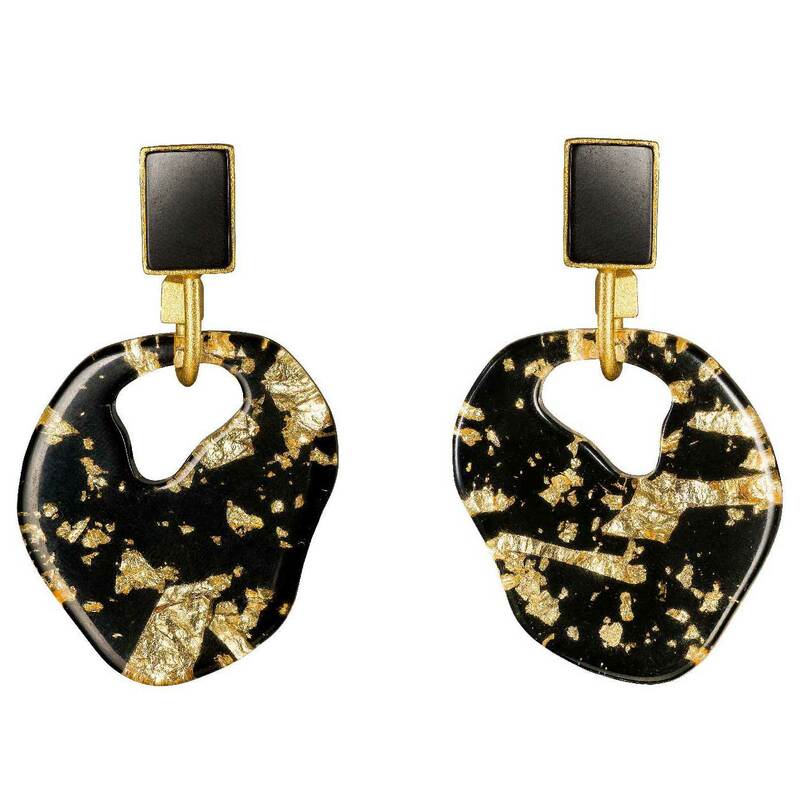 They feature custom-made Resin stone, and custom-made sheets of gold foil, embedded into the resin. 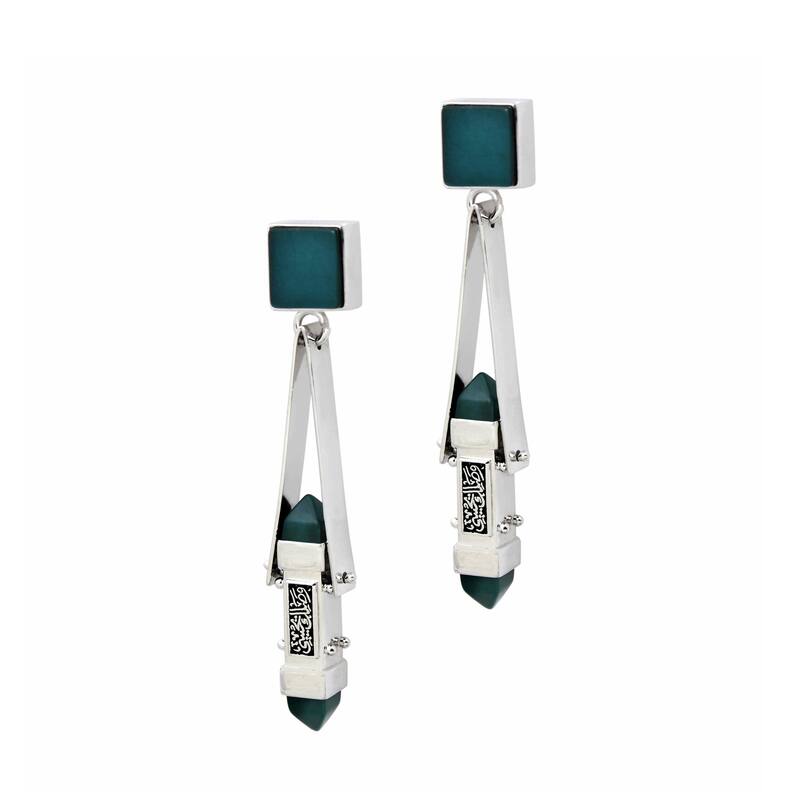 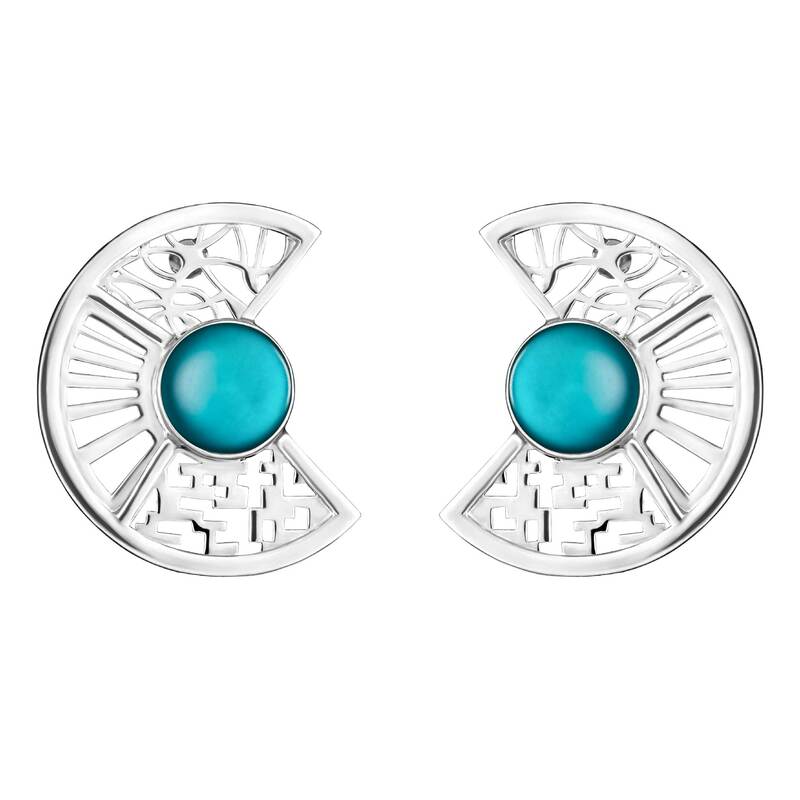 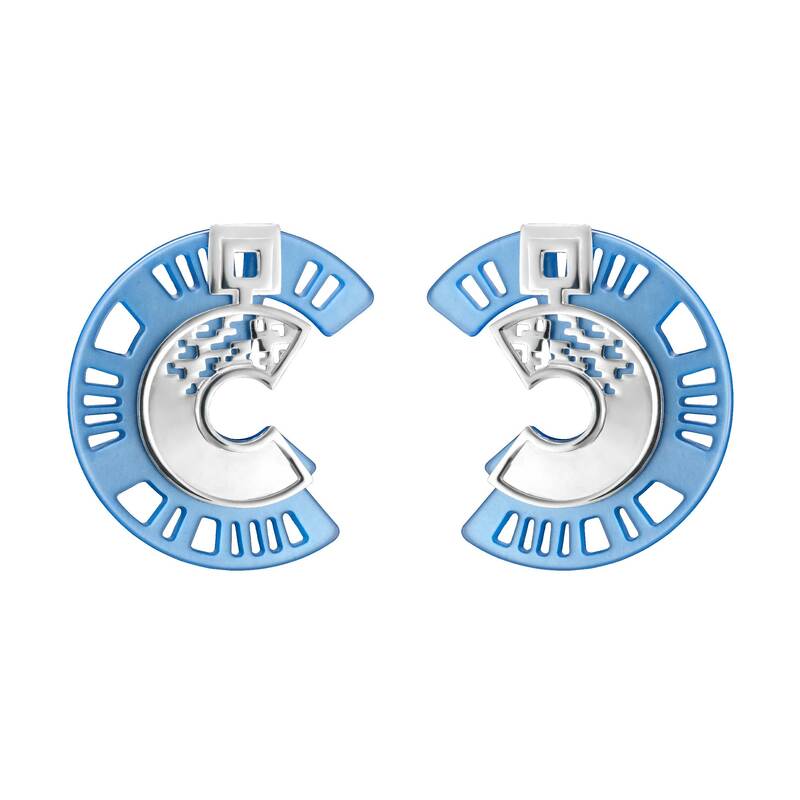 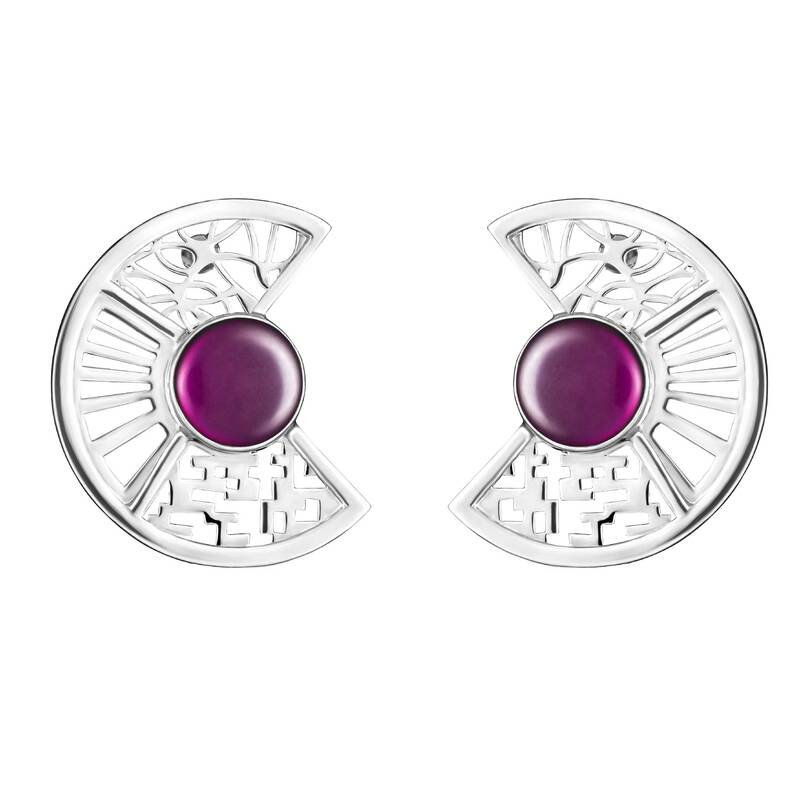 Make this pair of earrings the focal point of your outfit with a neutral blouse or tee.